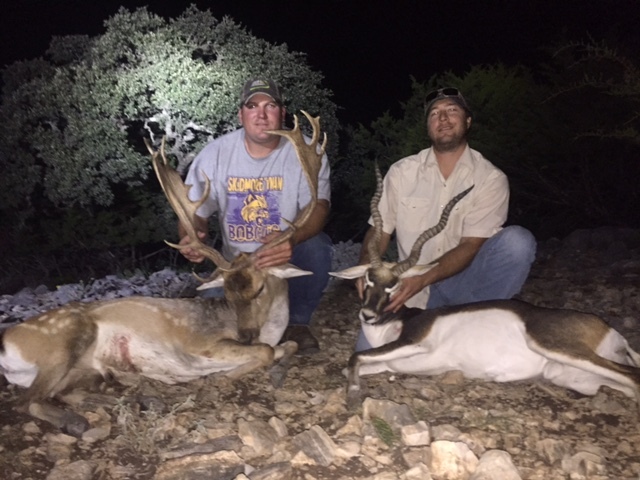 Rhino Outdoor Adventures is offering an incredible All Inclusive Package Hunt for 3 days 2 nights with food and lodging provided on the legendary Haecker Safari Ranch located in the beautiful Hill Country just outside of Leakey Texas. Hunt for choice of 1 “Free Range” (Axis, Blackbuck, Ram, Sika, or Whitetail) 2 hogs and unlimited predators and varmints for just $2500.00 per hunter!! NOTE: Aoudad may be available with an additional $1000 harvest fee added when the hunter pulls the trigger on an Aoudad. A minimum 50% deposit is required to book dates with balance due upon arrival. Additional days may be added for $250 per hunter per day and non-hunters invited for $150 per day as well additional animals may be added at a 10% discount to this package from our current price list. We look forward to having you join us for a great hunting adventure for more information and booking please contact Ryan “Rhino” Haecker at (830) 660-4933 or by email at ryan@rhinooutdoors.com.